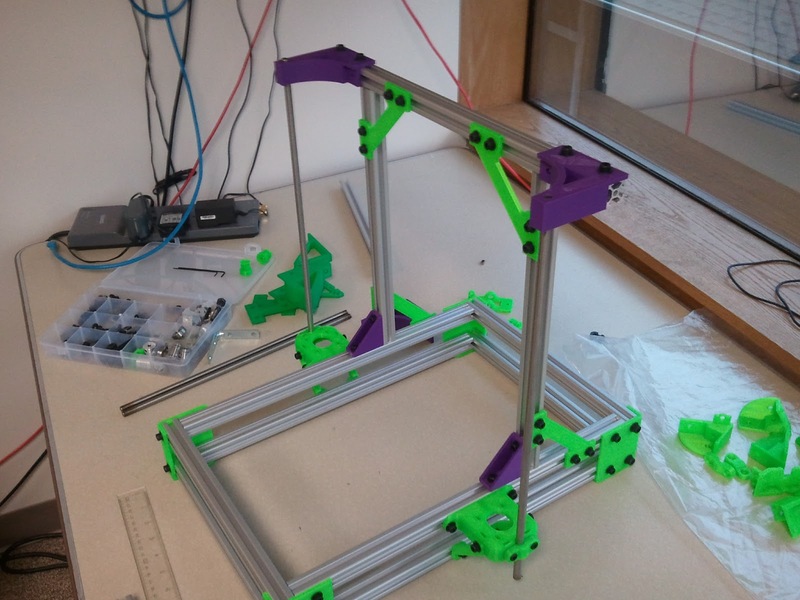 We're having a lot of fun with the 3D printer and ended up ordering a Mendel Max 2.0 beta (more on that later) as well as another Mendel Max 1.5. This time around our plan is to really customize the MM1.5 printer and see what we can do to reduce the part count, improve the looks, and perhaps improve some functionality. The main thing that annoys me with the MM1.5 and most Reprap printers is the triangle top. 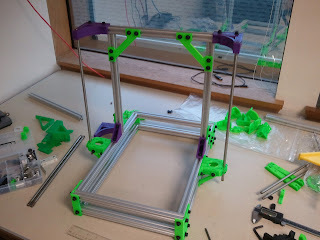 It's not really needed, adds extraneous parts, and makes the printer feels more cluttered. Everyone that's seen our printer likes to watch it print, so it'd be nice to open it up and improve viewing angles.